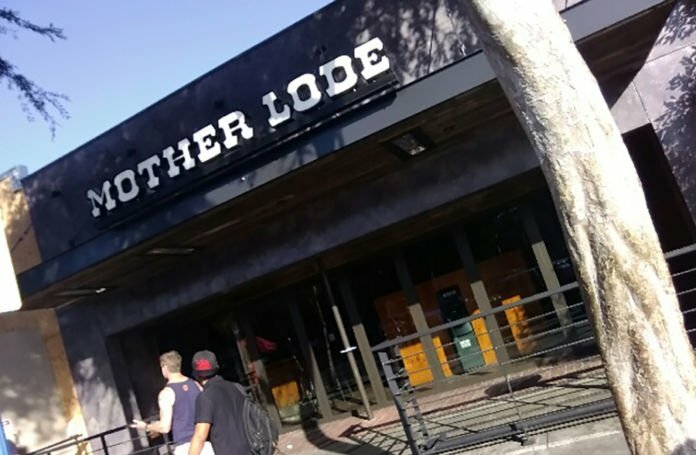 Mother Lode, the oldest gay bar in West Hollywood, had a mishap last night after part of the ceiling collapsed on patrons during business hours. No injuries were reported. 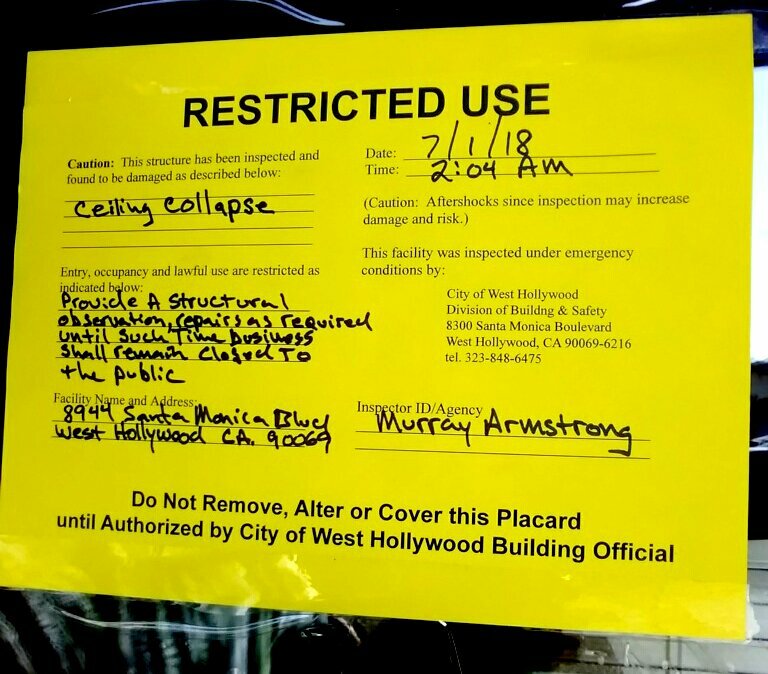 A sign posted by the City of West Hollywood Building Official confirms that the ceiling collapsed and now the entry, occupancy and lawful use of the building is restricted until the city is able to provide a structural observation and repairs are made as required. Until such time, the Mother Lode will remain closed to the public. The Mother Lode is in the midst of making some major renovations. As reported here earlier, the beloved gay bar revealed its new face just in time for LA Pride weekend. The plywood that covered the bar for the past 9 months or so, came down to reveal an entirely different facade from its original storefront. The construction was supposed to be finished by this past December according to the co-owner, who simply goes by the name Bob. The bar had recently acquired new signage in late June, which looks nothing like the original sign that has been part of Mother Lode for many decades. Bob stresses that it was nothing major and the Mother Lode will open again hopefully as soon as tomorrow.